Erstwhile residents of the U.S. Pacific Northwest since 1983, we had yet to visit the wine regions of British Columbia. This year, we finally ticked that box on our travel list. Life’s schedules and commitments being what they are, we couldn’t manage a trip until mid-October, toward the end of this year’s season. Still, we reasoned, that would not be all bad, and we were right. One of the challenges of wine tasting during the shoulder season is that a number of wineries wrap up the year’s retail business early. 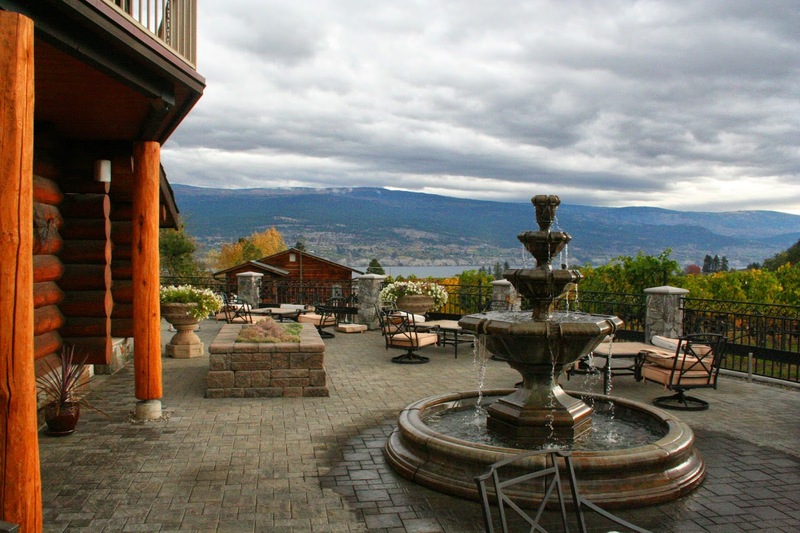 Typically, wineries in British Columbia’s Okanagan Valley remain open through the end of October while many wineries on Vancouver Island, the province’s second most popular wine growing and wine tasting region, close earlier. Regardless, plenty were still open and pouring, sans the crowds that inhabit the high season. Our first stops were on Vancouver Island, at Averill Creek Vineyard, billed as “Vancouver Island’s largest estate winery, with spectacular views of the Cowichan Valley,” and Blue Grouse Winery. In each case we had the tasting room all to ourselves, along with the exclusive attention of the proprietor. We bought some bubbles from Averill Creek, Pinot Gris from both wineries, and an Estate Bacchus from Blue Grouse. After heading to Vancouver and a visit with some long-time friends, it was on to the Okanagan. Our first stop and base of operations at the northern end of the valley was Kelowna. The area around the town of Summerland, about 45 kilometres south of Kelowna, is home to a number of wineries, 14 of which have teamed up in a joint marketing effort and dubbed the roads that connect them “Bottleneck Drive.” We visited four on our first day in the valley and wrapped up visiting a fifth in West Kelowna. We visited Heaven’s Gate Estate Winery, Dirty Laundry Vineyard, Sonoran Estate Winery, Sumac Ridge Estate Winery, and Volcanic Hills Estate Winery, adding several Sauvignon Blancs, Rosés, Gewurztraminers, an unoaked Chardonnay, and two unusual white varietals -- an Ehrenfelser and an Oraniensteiner – to our growing collection. 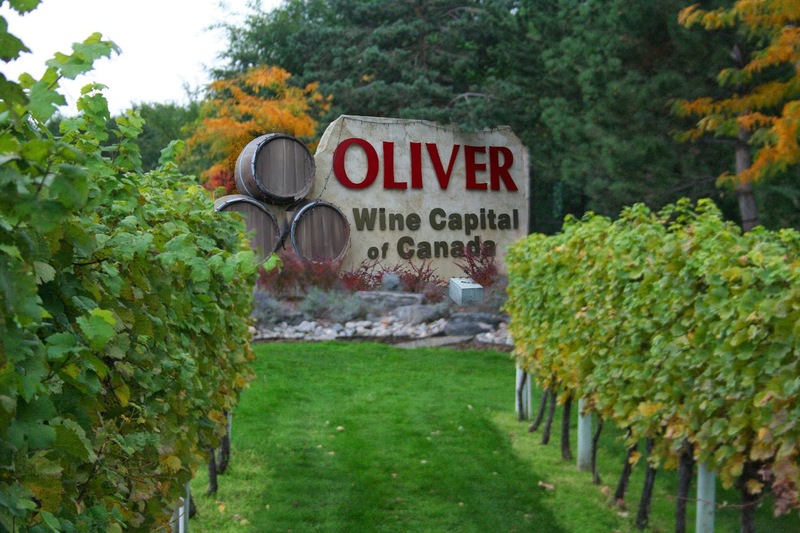 On our second day in the region, we set out for the Oliver Osoyoos Wine Country at the south end of the valley, about 120 kilometres away, to continue our mission of acquisition. That area is home to at least 31 wineries that have joined forces to market themselves as a group. On our way down, we stopped in the town of Penticton, at about the halfway point. There, we visited the Penticton & Wine Country Visitor Centre where we were given a quick overview of the area and a map. We then found our way to La Frenz Winery, the Misconduct Wine Co., and the Upper Bench Estate Winery in the “upper bench” area, and added a Semillon, a Rosé, and a Zweigelt to our ever-growing cache. The name “upper bench” comes from the geology on the east side of Okanagan Lake, which appears to have risen sharply from the surrounding landscape thousands or millions of years ago, forming what looks like a bench. From there, we continued to the Osoyoos area where, over the next two days, we visited Perseus, Jackson-Triggs/Inniskillin Okanagan Vineyards, Moon Curser, See Ya Later Ranch, Nk’Mip Cellars (a First Nations name pronounced “INK-uh-meep”), Quinta Ferreira, and Covert Farms. We brought home a port-style red, a white blend called Dreamcatcher, more Gewurztraminer and Rosé, a Pinot Blanc and a Shiraz. Generally speaking, the wines of B.C. are lighter than similar varietals produced elsewhere. For example, the Sauvignon Blancs had fewer citrus notes than their New Zealand-produced counterparts while the Chardonnays had far less oak than many California Chardonnays. 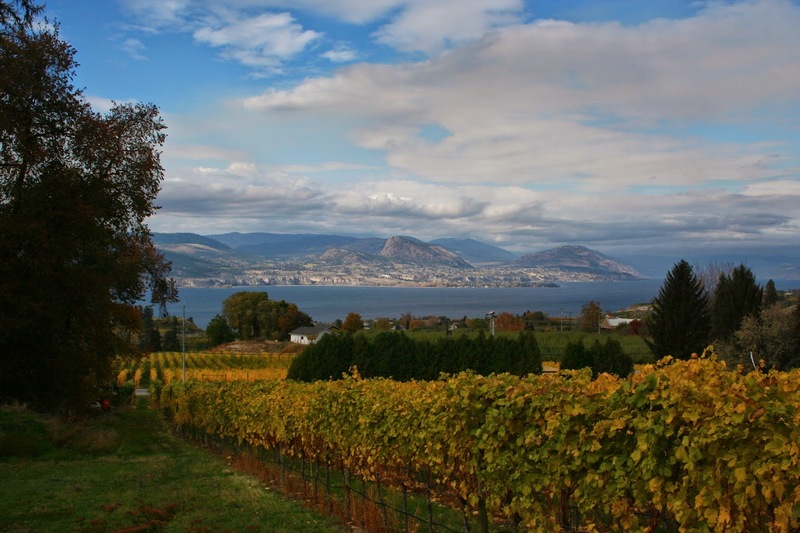 The wineries of British Columbia ranged from simple, homespun cottages to much more sophisticated operations with defined marketing approaches. A good example of the latter is the winery my wife and I agreed was our favourite: Dirty Laundry Vineyard. Although I expected to be greeted by Don Henley music, the inspiration for the winery's name was far different than Henley’s 1982 musical swipe at the television news business. The name, we were told by our hostess who was dressed as a 19th century madam, came from a laundry opened to serve the area’s gold miners, fur traders and railroad workers. The winery has adopted that slightly risqué theme, which it executes in a light-hearted way in terms of decor and the names of some of its wines: Woo-Woo Gewurztraminer, Hush, Secret Affair and Bordello, for example. And we found the wines were quite good as well. A more homespun winery that also captured our hearts was the Quinta Ferreira Estate Winery. The owner/winemaker is of Portuguese descent and the style is reflected in the wine. More impressive, however, was the hospitality shown. When we arrived, the owner was working the fields but came to the tasting room and spent a considerable length of time pouring, talking, and generally making us feel most welcome indeed. Not once were we made to feel like we were an interruption of his harvest duties. Also interesting are the Nk’Mip Cellars. It is Canada’s first and only winery owned and operated by aboriginal peoples and, we were told, one of only two such endeavours world-wide. The other is a winery operated by aboriginals in Australia. Outside the winery, its wines are marketed through a cooperative agreement with multinational Constellation Beverages. A couple of things bear further explanation. Astute readers may have noticed that most of the wines we bought were whites. That’s because, in large measure, British Columbia’s climate is too cool for growing the red grapes used in red wine. 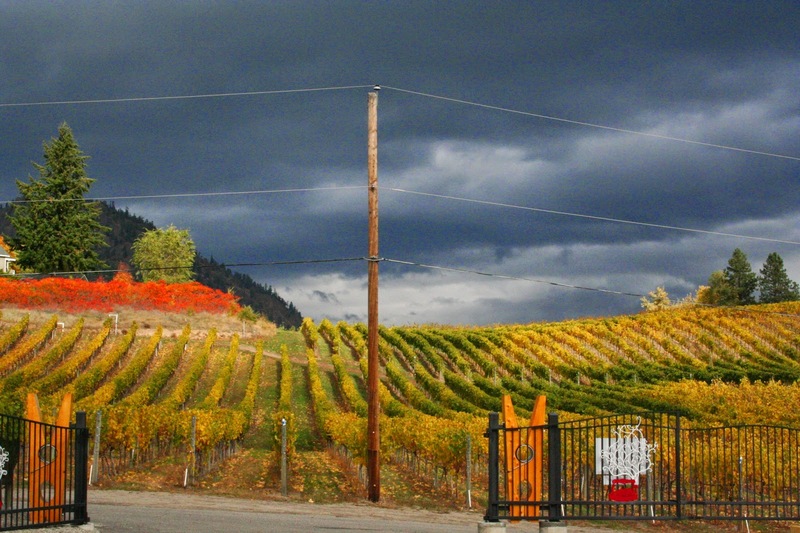 There is an exception: the south end of the valley, near the border town of Osoyoos, is actually at the northern tip of the Sonoran Desert, which extends from Mexico, and therefore has some microclimates warm enough to grow red grapes and a growing season long enough for them to reach maturity. 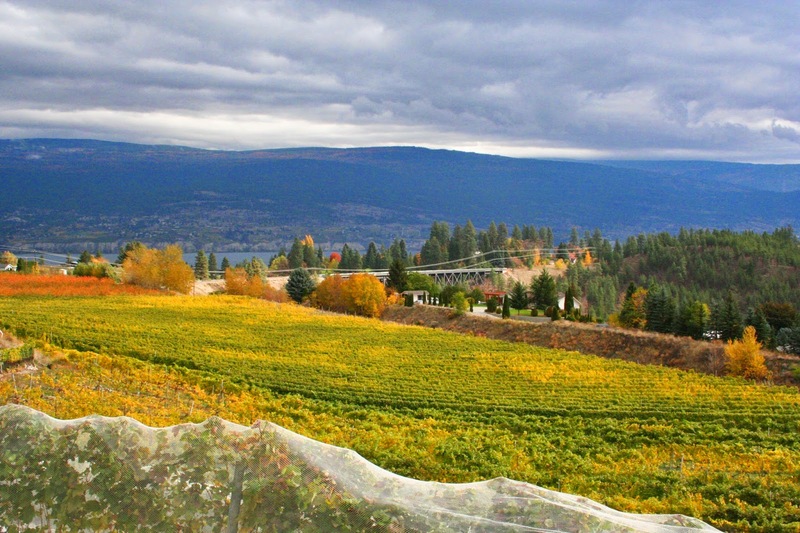 Prior to about the turn of the 21 st century, the Okanagan Valley was primarily a fruit-growing region as opposed to a wine region. Then, facing falling prices due to stiff competition from fruit producers in other countries, the locals decided to shift their focus to grapes and wine, a decision that has done very well indeed for the area. Of the wineries we visited, most had a modest tasting fee -- $5 or so per person – that was waived upon purchase of even a single bottle of wine. Others offered tastings without charge, while one asked that sippers drop a donation into a jar to benefit the local SPCA, its pet cause (no pun intended). If you go, plan on visiting no more than four wineries a day: two in the morning, following a good breakfast, then two more after a decent lunch. Otherwise, you’ll risk dulling your palette and, when you get home, may find yourself disappointed by that wine you liked so much at the vineyard. Finally, U.S. regulations allow visitors returning from Canada to bring back up to one litre of alcohol duty-free. Visitors can bring back more if the alcohol is for personal use (generally considered about a case per person), but may have to pay duty on the additional product. Alcohol is excess of the allowance is dutiable at three percent, plus any Internal Revenue Tax that is due, according to the U.S. Customs and Border Protection (CPB) web site, so save all receipts from your purchases. Although customs agents have been known to waive the duty, it is always best to be prepared to pay the freight.